Homebase’s troubles; a worrying trend for DIY sector? With house prices increasing over the last few years, many expected Homebase, and rivals such as B&Q, to benefit fully from this trend. However, this has not materialised. Homebase has been accused of not possessing a good enough online business, which has seen it fall behind others. What does YouGov’s BrandIndex tool indicate about Homebase’s struggles? And what does it point to in terms of the reasons behind decline? Firstly, YouGov’s Buzz metric shows that the dramatic news of store closures had impacted upon consumers. Their score fell from +2.5 to a rating of –1.7 among all respondents. The true bearing of this is of course, that consumers may be reticent about buying from the brand in the future if they hear a good deal of bad press surrounding them. The opposite theory would state that the older age group would be more likely to be homeowners, and therefore more naturally more inclined to be interested in making home improvements. 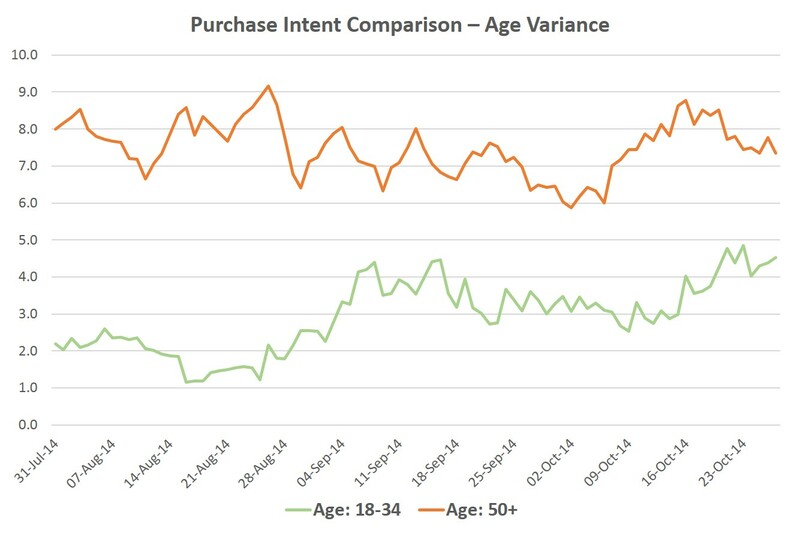 One way to explore this theory is to look at the respective Purchase Intent scores for the different age groups BrandIndex measures. Here we seen clear variance between the 50+ age group and the 18-34 group. Those in the younger age group average a score of 2.9 since the end of July, compared to a score of 7.5 from those in the older category. It should be noted however that the score is increasing for the younger age group despite bad press. While this may not be conclusive and it is clear there other major factors at play in the struggles Homebase has encountered, it still appears that the DIY sector as a whole needs to consider how it is going to win round younger consumers and how to get them engaged in home-improvements.